Optimum weight distribution. 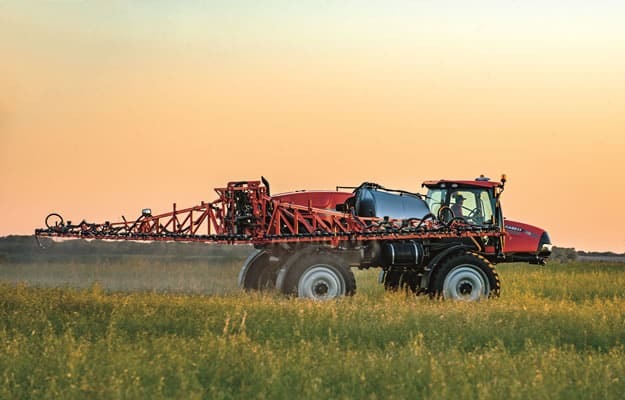 Patriot sprayers are known for their excellent weight distribution over the front and rear axles, which allows for earlier field access and gives them the capability to spray in wetter conditions without leaving large ruts. And, in normal field conditions there is less soil compaction. Configuration is key. 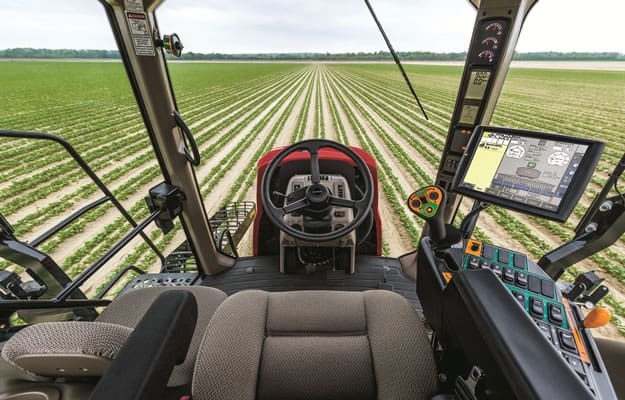 With a cab forward/rear engine configuration, weight on the Patriot 4420 is split 50/50 front-to-rear. 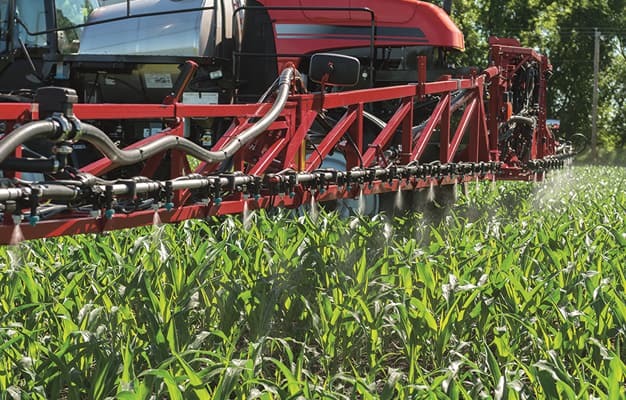 Weight distribution on the Patriot 3320 and the Patriot 3330 is split almost equally on the front and rear axles—and this includes a loaded product tank with spray booms in the out and down position. Center pivot boom. 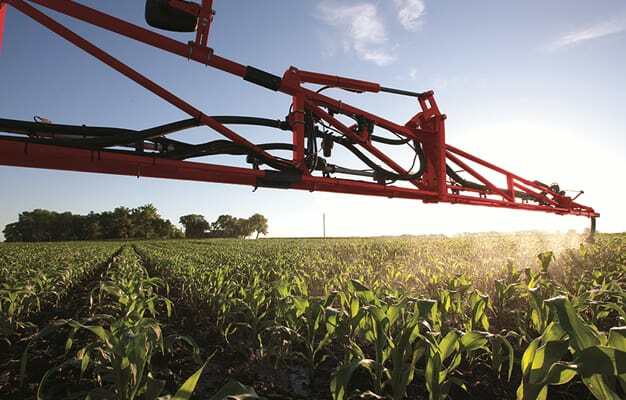 A center pivot boom design makes the boom more independent of the chassis frame. Two links connect the boom and center section to create a pivot point that minimizes the amount of boom tip travel. The result: optimum application coverage, even at higher speeds. 120-foot (36.6-m) boom. Cover more ground in less time with a 120-foot (36.6-m) boom, optional on the Patriot 3330 and Patriot 4420. It can increase your productivity 33% over a unit equipped with a 90-foot (27.4-m) boom and 20% compared to a 100-foot (30.5-m) boom. Hydraulically adjusted track width. The axle track can be easily adjusted to fit the desired row spacing or track width, with the touch of a single switch. The front and rear axles can be set at different widths to reduce compaction. Unmatched performance for your low/medium-sized business. 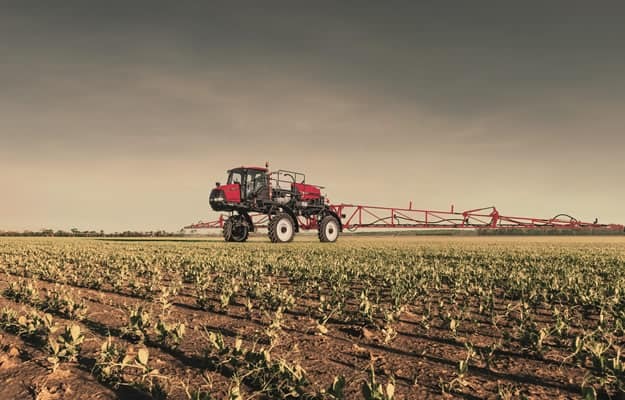 Case IH has introduced its new Patriot 250 Extreme sprayer as the entry-level option in the four-model Patriot range, offering an easier step-up to self-propelled spraying for farmers who previously had to rely on tractor-pulled sprayers. The right and left booms of the new Patriot are independent, with a total span of 27 metres and the boom height can be varied from 60 to 220 cm fewer passes and a greater sprayed area. 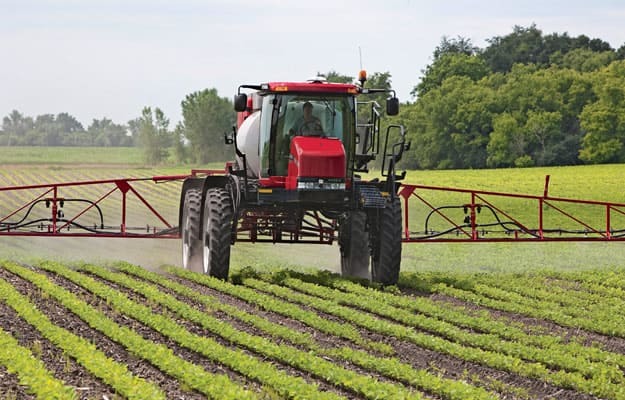 The booms are fed by a 2,500-litre solution tank and a 280-litre rinse tank, with a 36.5-litre chemical eductor. 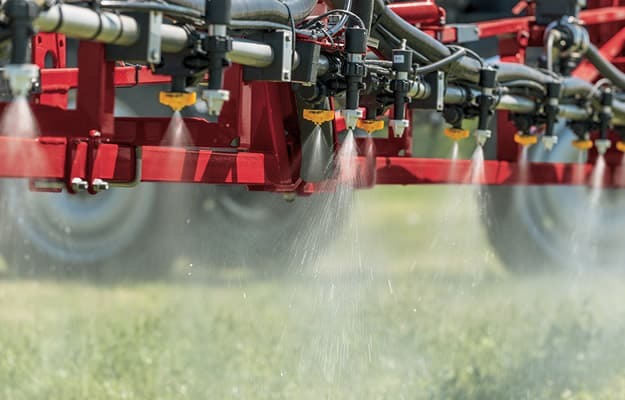 Since 1991 Patriot™ sprayers have delivered state-of-the-art performance with industry-leading features like the AIM Command™ spray system, active suspension and the Surveyor™ cab—resulting in dramatic increases in productivity and reduced costs per acre.